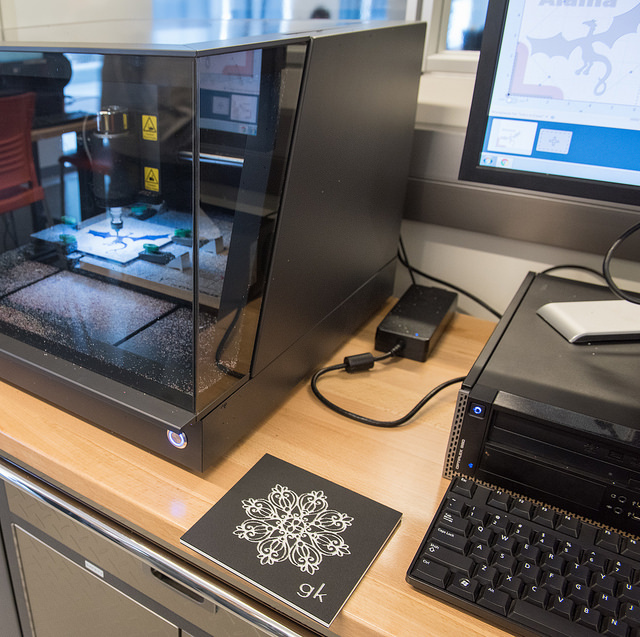 A Carvey is a desktop level CNC milling machine developed by Inventables that employs a subtractive process, meaning that it removes material to create the shapes and objects as desired. It allows people to use a variety of materials including metal, plastic, and wood to produce quality objects ranging from 3D signs to land elevations and countless functional products. By the end of this workshop, participants will have enough knowledge to create a project and obtain a digital badge for the Carvey. The module covers the concepts behind computer numerical controlled milling, as well as its history and applications for the Carvey desktop machine. It covers how to safely set up the machine, and outlines the uses of various types of milling bits and carving materials. Participants will learn about the Easel software that facilitates the creation of milling designs, either from scratch or through importing existing artwork. Several examples will be shown and explained to demonstrate potential uses of the Carvey machine, and for that purpose, a project/demonstration will take place to show how to properly use the machine. Able to use the machine for their own projects. If possible, please bring your own laptop or tablet to this workshop so you can explore the carving software independently. Materials will not be supplied for this workshop. If you want to stay after the workshop to carve something, You can purchase a 6x6" HPDE (plastic) tile in a variety of colours from the first floor information desk in the TFDL for $5.00.